Amber’s interest in human trafficking was born during a trip to Ethiopia, where she witnessed human trafficking in broad daylight. And she wasn’t okay with this. When she returned home to Columbus, Ohio, she was shocked to learn that human trafficking was just as prevalent in her hometown as it was in Ethiopia. So she set to work to figure out a way to make an impact. She googled what businesses she could start that would take the least amount of capital, and she came up with… candles. She started over two years ago, mostly selling online and at festivals and events, and just recently opened their first store in the Madery, at the Co-Hatch in Worthington – a place where artisans make their socially minded, locally made, and finely crafted products right in front of your eyes. While reflecting on their journey, Amber remarked that she grew up through foster care and recognizes the statistics of what can happen… 50% of kids in foster care are trafficked or abused: she could easily have been one of those she works with today. They need a safe place, safe people, and a purpose in their job. One of the most important things is teaching them how to dream. Trust is a huge component as is creating a safe place where you’re held accountable but it’s still okay to fail. Only when you are on an even playing ground can you really develop trust. What are the challenges of incarceration? For those who have been incarcerated, it’s even more challenging getting back on your feet. The average woman leaves prison with about 29 dollars and the clothes that she came in with. 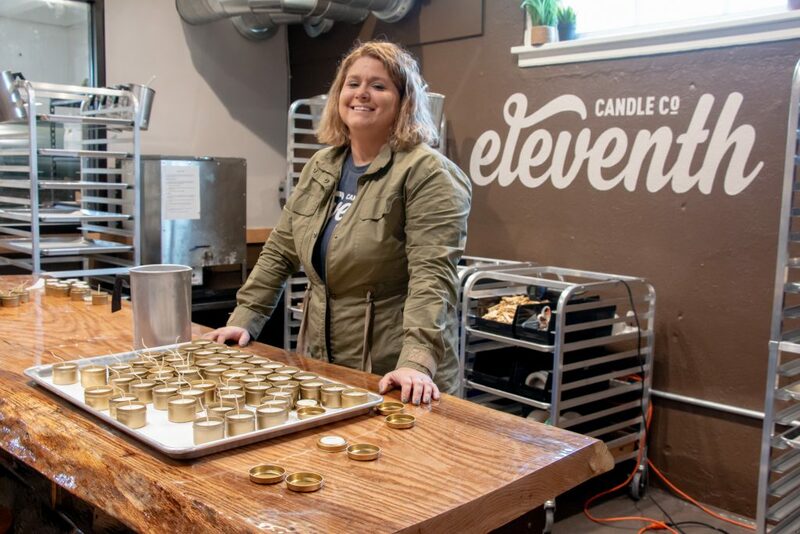 The transition from prison is challenging, so Eleventh Candle Co has a different solution to working with formerly incarcerated women: they reach out and working with them in the prison system by getting to know them and paying them real wages so that they have a path after they are released. How do you affect change as a consumer? 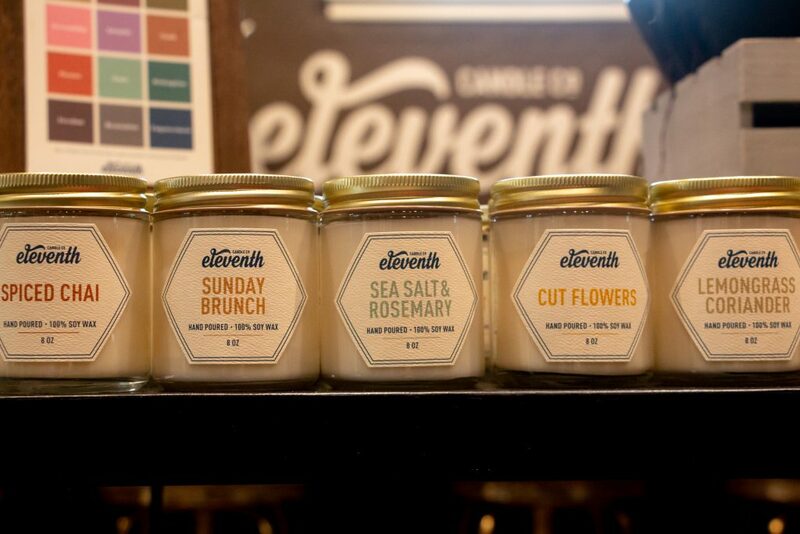 Eleventh Candle Co has a variety of beautifully scented candles. 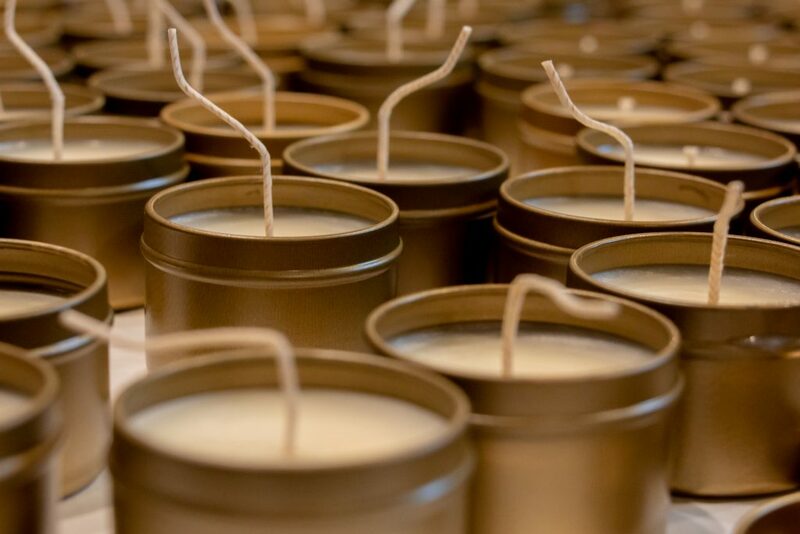 Personally, I love beeswax candles, and since I attended the She Has a Name training on Human Trafficking, I light a candle from Eleventh Candle everytime I’m working on this podcast. There is one burning right now. For me, it is a symbol of the change I want to see happen in the world (plus, it’s an awesome candle) — but in the bigger picture, it is an example how we can effect change through the products you purchase as a consumer. The Roosevelt Coffeehouse – (a personal favorite) – a coffeehouse with a mission to provide clean water, fight hunger & human trafficking. Growlers Dog Bones – Dog treats! 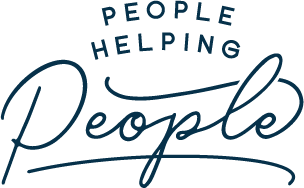 Imagine what a difference we can make in our local community just by purchasing from social impact organizations such as these. What we have to do is we have to bring light Into Darkness, thank you candle company for the perfect analogy!